PSS is a 54,000 sf. office housing the corporate headquarters of a young and rapidly growing medical equipment and supply corporation. The corporate headquarters occupies the top two floors of a 4- story office building where the interior designer’s commission included space planning, interior design, furniture specification as well as the design of the building lobby and common areas. 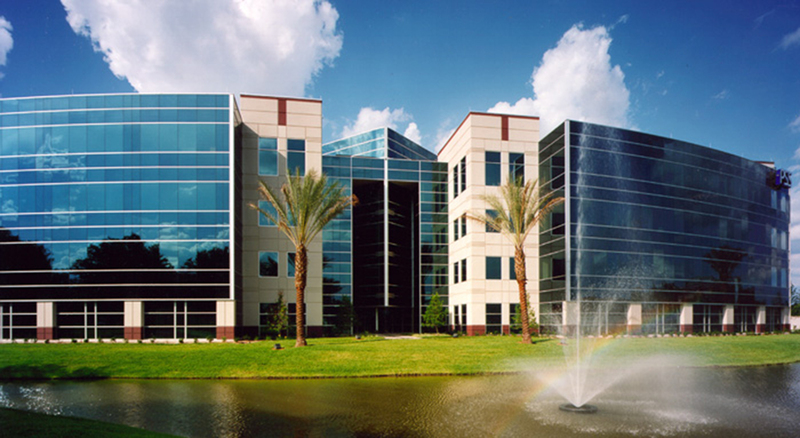 The stated mission was to create a signature office reflecting PSS’s reputation as the pioneer and trendsetter in their industry. The office was to be bold and dramatic yet classic. The interior of the building also needed to reflect the exterior design to complete the intended corporate image. 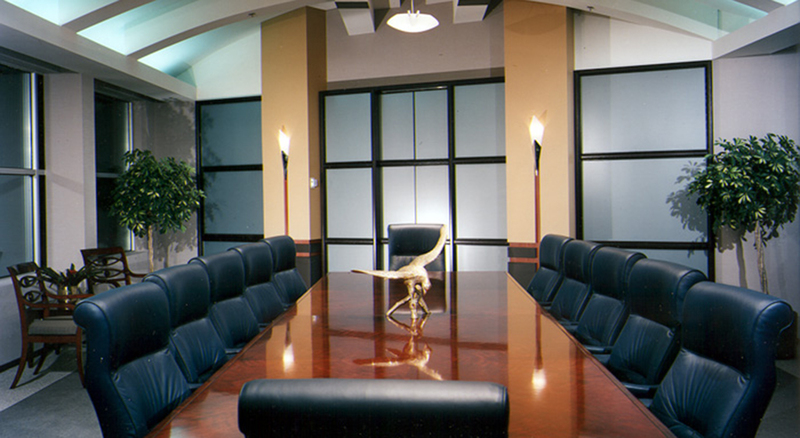 The boardroom is a signature area of the project. A state-of-the-art computer/AV center is concealed behind a wood opaque glass wall. This wall conceals access to the granite serving counter in the galley as well as to the dual pocket doors leading to the galley and the CEO’s office. The design of the boardroom ceiling reflects the “rib” element used throughout the interior and exterior of the building. The gallery colonnade is another location and interpretation of the ribs.